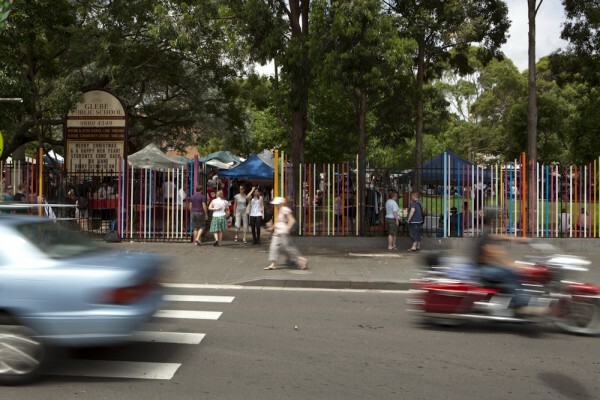 The Glebe Point Road Public Art project is a result of Local Action Plan feedback and input from members of the Glebe community in June 2006 as part of the Glebe Point Road Streetscape improvement program. 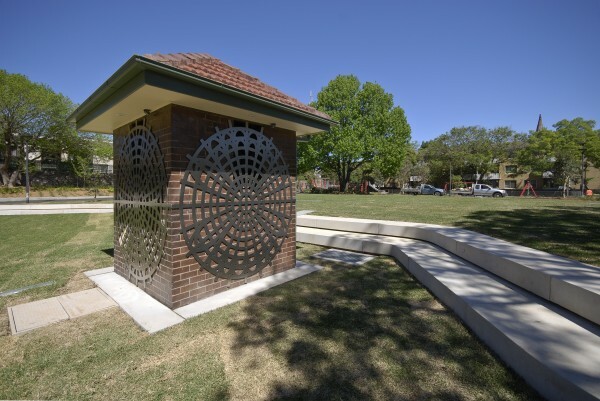 In particular, a Coalition of Glebe Groups (COGG), comprising members of The Glebe Society, Glebe Chamber of Commerce and other resident action and community groups, proposed the project including public art, in their submission to the City of Sydney of Priority Projects for Glebe 2006-10. As a result, the Glebe Point Road works was one of the first significant steps as a result of the Glebe Local Action Plan. Taking its cue from the range of community inputs into the Local Action Plan process, the City developed a staged and integrated public art program with members of the community, including workshops, a temporary community art project and permanent works, in partnership with Glebe Youth Services. 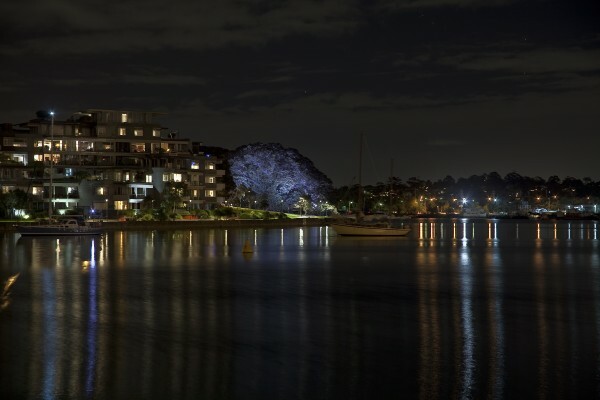 The three projects selected to be part of the Glebe Point Road Public Art Program were Allan Giddy’s Earth V Sky, Nuha Saad’s Skippedy Skip and Dr Nigel Helyer’s The Wireless House.